According to LetsGoDigital, the technology media of Netherland, Huawei (华为) published a patent named “Eyeglass frame” in the database of World Intellectual Property Organization (WIPO). February 12, 2019 /EqualOcean/ - According to LetsGoDigital, the technology media of Netherland, Huawei (华为) published a patent named “Eyeglass frame” in the database of World Intellectual Property Organization (WIPO). This shows Huawei have the plan to design and manufacture its Augmented Reality (AR) glasses. With the Augmented Reality technology, you can use AR glasses together with a smartphone. In the beginning, You might see no value in AR. But the value will reveal more in the future. In the next 1 to 2 years, the AR industry could go to commercialization. Huawei would grasp the chance and release a better user experienced AR product. As described in the patent design drawing, this “Eyeglass frame” can be used as an Augmented Reality headset. To keep the glasses light, these glasses do not carry camera, display or microphone. Whilst under this design, the eyeglasses patent have several possibilities: the augmented reality headset that comprises at least one of a display, a speaker, a microphone, a camera, a sensor or a vibration motor. LetsGoDigital analyzed that these glasses can be used together with a smartwatch, which can be attached in the right temple. Whilst the adapter and mirror can connect with the smartwatch, and the content could be represented to the user through the reflection of the mirror from the smartwatch. 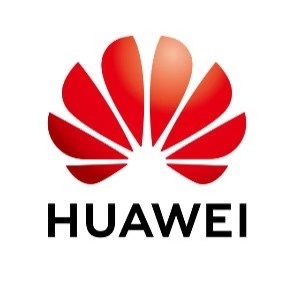 Huawei states the design background of the patent in WIPO: Firstly, the interest of the customers using the augmented reality headset decreases due to the large, heavy design. Secondly, the design of the old augmented reality headsets needs to be tightly strapped around the head of the user due to the large size which is not suitable for outdoor use. Lastly, the customers are not willing to wear such augmented reality headsets on a daily basis due to the large size and weight. By stating the patent design background, it shows that Huawei is confident its new design could overcome these difficulties. 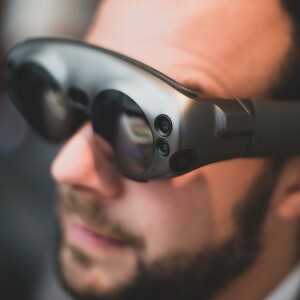 The new augmented reality headset will satisfy the customers with its light design and additional functions connecting with Huawei’s other device. 5G era is coming, this is the perfect time to release AR glasses with the support of 5G technology. Huawei Technologies provides infrastructure application software and devices with wireline, wireless, and IP technologies.